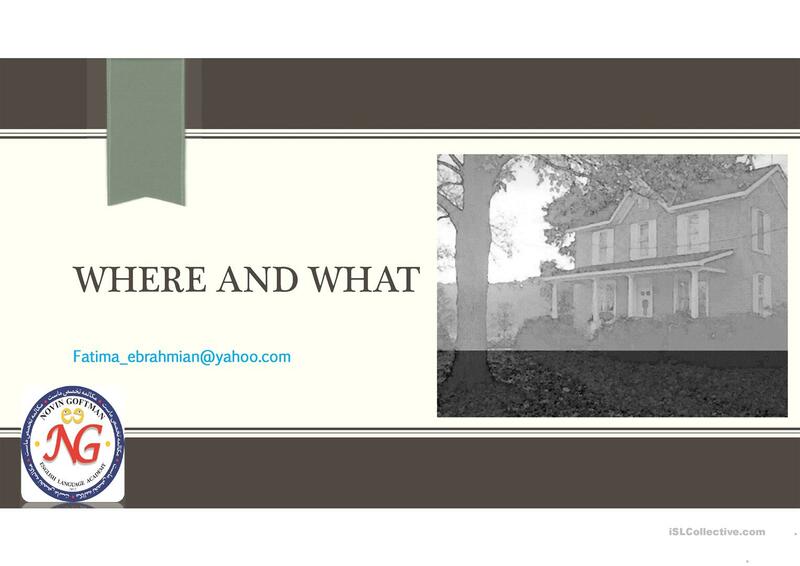 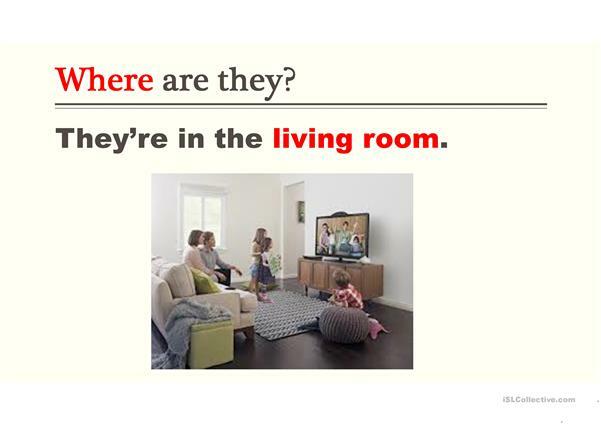 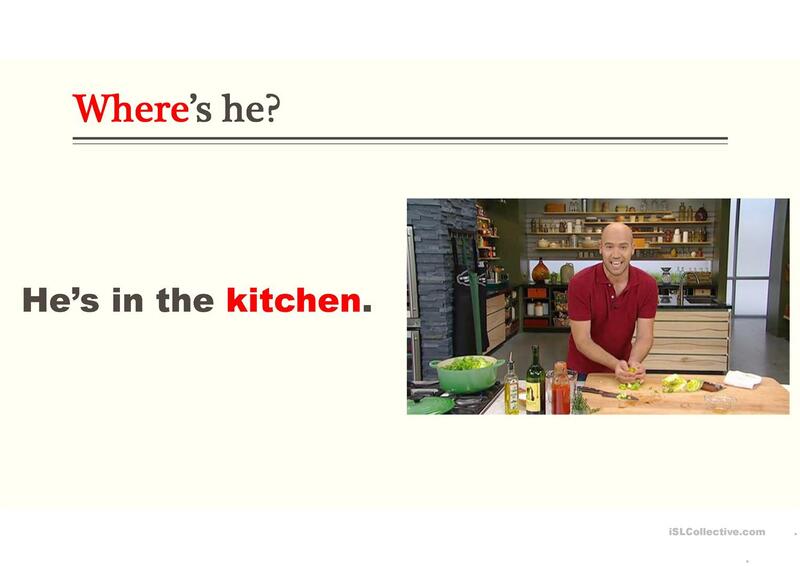 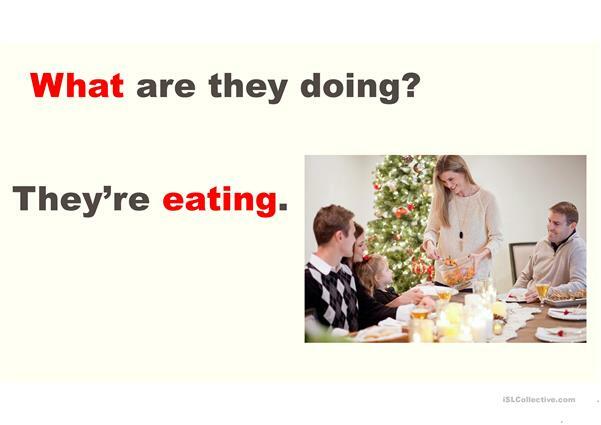 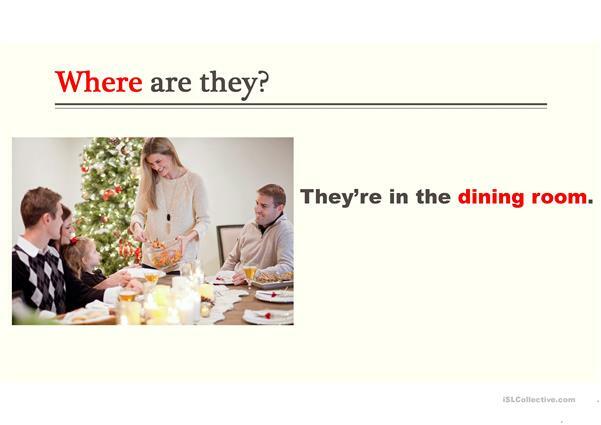 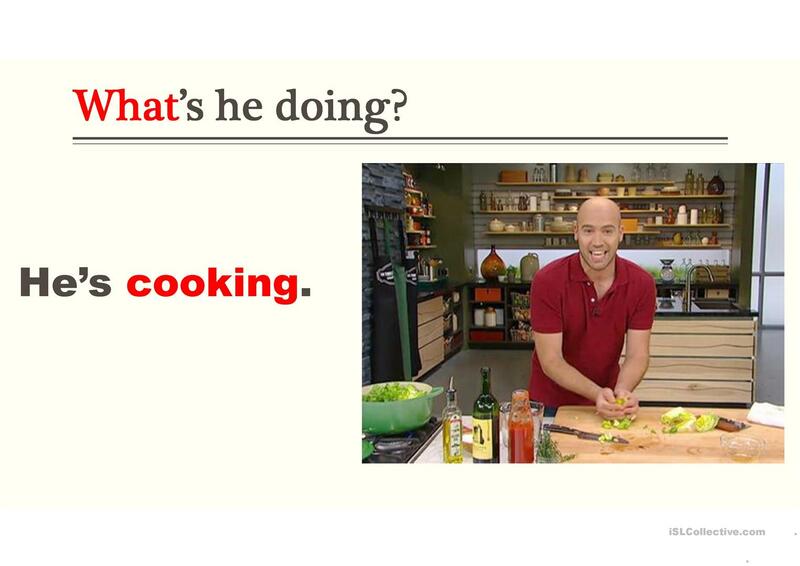 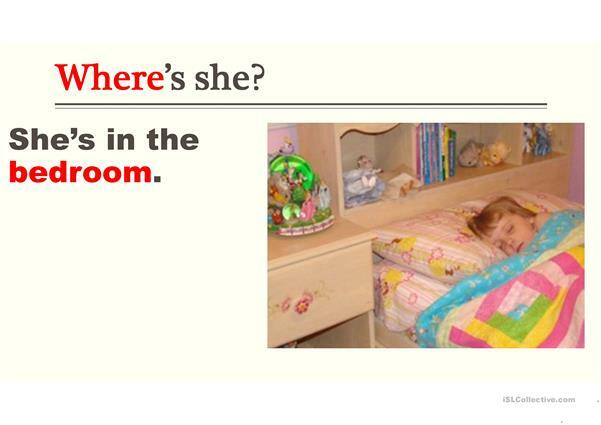 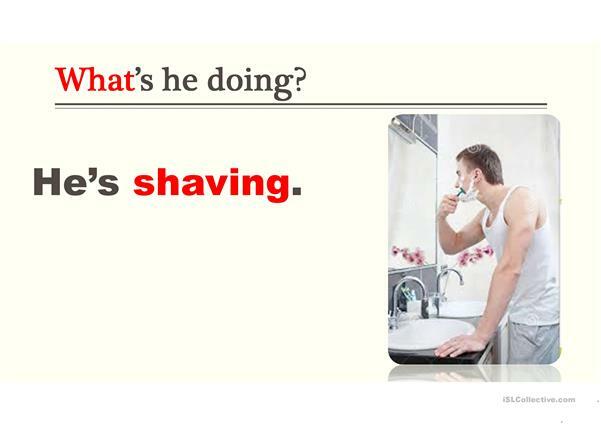 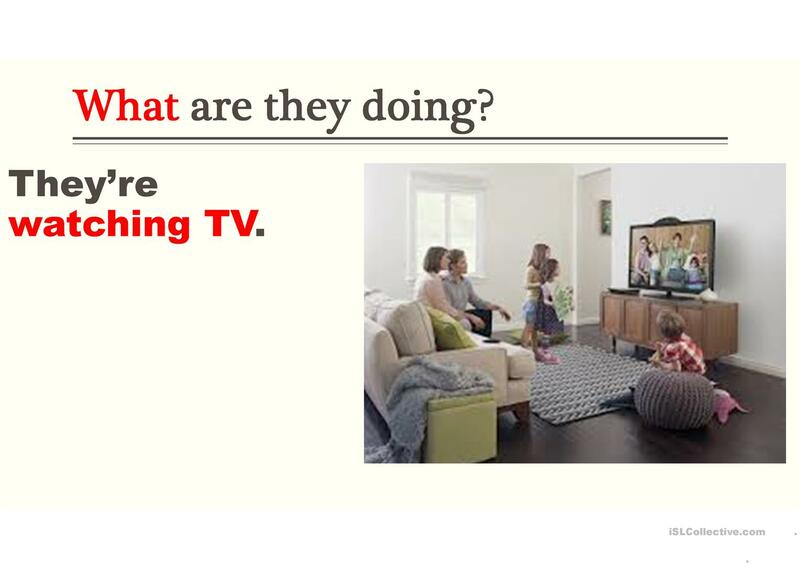 This presentation is useful for teaching some every day activities (eating, watching TV, cooking, shaving, sleeping) using WHAT and WHERE questions and it is also related to the rooms in a house. This downloadable printable was created for elementary school students at Elementary (A1) level. 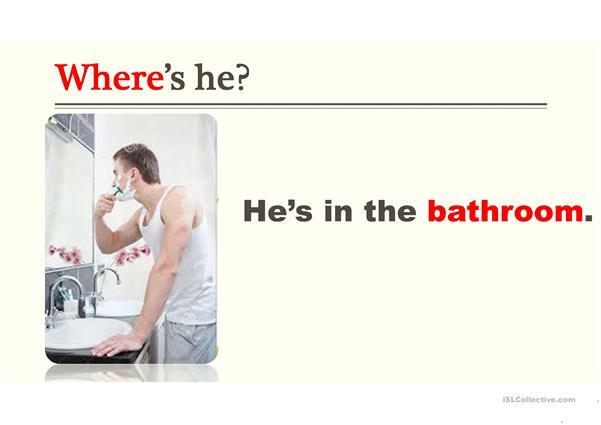 It was designed for improving your learners' Writing skills.